Almost every weekend of the year, one can find at least one WordCamp happening in the world. Sometimes there are two-three happening on a same weekend. WordCamps are 1-3 day trainings on the ever popular CMS, WordPress. They typically range from $20-$60 depending on how many days that WordCamp lasts. Typically at least 200 people from users to experienced developers will be in attendance at each and every WordCamp. There are many people, including the great people at Cant Speak Geek, who go to as many WordCamps a year as they can squeeze in their schedule and budget. With the ticket purchase, it comes with a few perks. Along with entrance into the WordCamp there is typically a shirt (or an other cool swag item), After Party entrance (free food and drinks), networking, typically lunch and sometimes breakfast, and a great experience. The ticket cost is so low due to the help of sponsors. Sponsors also set up tables at the WordCamps and pass out cool swag. At some WordCamps, one can come home with 2-6 free tee shirts depending on how many sponsors are there. Typically discussions range from content creation, time management. theme and plugin development, security, and much more. There are an average of 15-30 different seasons per WordCamp. With that many choices, you are bound to find a few sessions that will peak your interest. If you want to get an idea of the different discussions, check out WordPress.TV. All WordCamp sessions are recorded, and then many are put on WordPress.TV to view for free. They will give you a feel of what a session feels like. The WordCamp Schedule is updated frequently to show when and where the next WordCamps are. Watch the upcoming list for ones in your area. If there are not hotel option ideas given on the WordCamp website, Hotwire and Travelocity can give cheaper lodging options. Also check with the local Meetup to see when WordCamp could be coming locally or if anyone would want to travel to other WordCamps. Don’t have a Meetup in your area? Start one today. The WordPress community and the next speakers, developers, and contributors can be anyone, even you. I had the joy of speaking on the popular plugin Jetpack this past year at WordCamp Chicago. Jetpack is one of my favorite plugins behind iThemes Security. I use it on all of my sites. I know it gets flack about being a large plugin and it slows down sites but I have not seen a noticable difference in my websites when I test it being off. Earlier I did write a review on the plugin and dug into its features. You can find more of the review by clicking here. Jetpack is a great multifunction plugin. 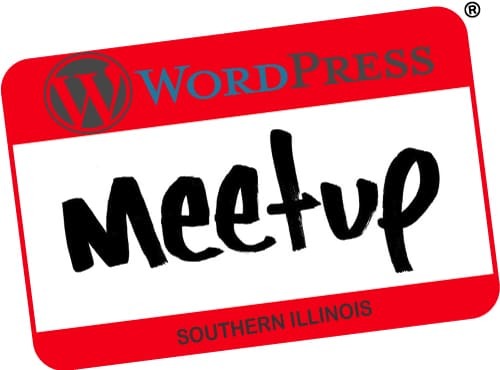 Plus if you are near Chicago in June or care to travel the WordCamp is a great experience.